Three days of awesome adventures in the Cairngorms National Park. 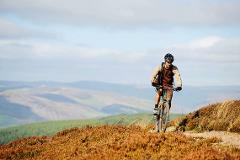 Mountain biking at Glenlivet, Canoeing the River Spey & Gorge Swimming at Bridge of Brown. Transport, food & camping accommodation provided. Minimum age 16. 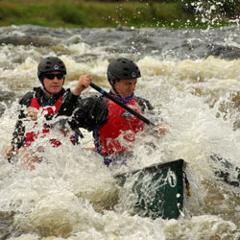 A fantastic 3-day canoejourney on the majestic River Spey. One of the 'Big 4' rivers that is a must for the touring canoeist in Scotland, and which normally provides a fast current and some great scenery. Minimum age 15. A fantastic 5-day canoe journey on the majestic River Spey. One of the 'Big 4' rivers that is a must for the touring canoeist in Scotland, and which normally provides a fast current and some great scenery. Minimum age 15.